Ok, so you have done all the hard work. You have done your research, wrote a killer article, published it on your blog and now what? 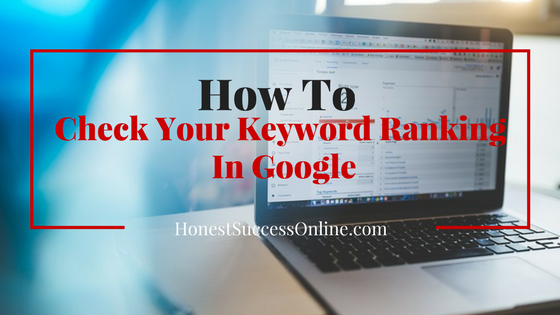 How do you check how your keywords and your posts are ranking in Google? At the end of the day, you want to know if your hard work has paid off. The main goal for every blogger and affiliate marketer is to make it on the first page of Google. First-page ranking means more traffic aka visitors to your site. Hopefully, more traffic translates into more sales and therefore in the long term means a steady income. In my post, you will learn how to check the keyword ranking, free and paid tools you can use and also how to improve posts to improve rankings. Before I am going into more detail how you can check your keyword ranking, a few words about factors that Google uses to rank websites on the first page. Google uses a sophisticated algorithm that takes around 200 factors into account and determines how well a site ranks in the search engines. The factors used are not known, but there are a lot of experts out there who have tried and tested what works best regarding SEO (Search Engine Optimization). how long a visitor spends on the site. In a nutshell, it’s important to provide quality content, a great user experience and also to build an authority over time. The latter takes time. It involves networking with other bloggers, building backlinks and being consistent over a long period. Ideally, you want to find keywords that have a good amount of monthly searches and low competition from other websites. Using such keywords are a great starting point to increase your chances of high rankings in Google search. Be aware, that it can take months to climb up the ranks especially when your site is relatively new. Established, high authority sites can get new posts ranked in a matter of hours. For further reading on how to find great keywords, please click here. My favorite keyword research tools are Jaxxy and KeySearch. To find out which one might be best for you, be sure to read my in-depth review. 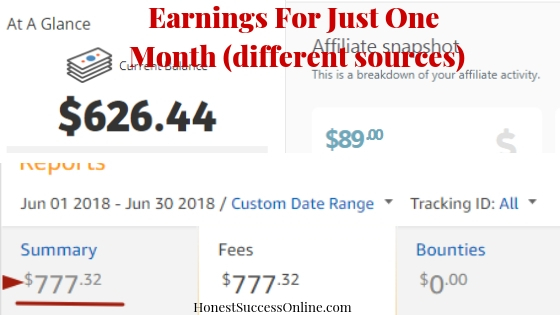 There are a variety of free and paid tools for bloggers and affiliate marketers available that allow you to check how a particular keyword you are targeting is doing in the search engines. A word of caution: I don’t recommend to check the rankings every single day. It is distracting and can prevent you to concentrate on writing and adding more posts to your site. I have experienced that rankings can go up and down like a yo-yo until it finally settles somewhere hopefully close to page 1. These changes in rankings can be so frustrating. But getting frustrating is not helpful and obsessing about it can be counterproductive. My advice would be to check your rankings once or twice a month. Like I said before it can take months until one post climbs up the (page) ranks. So be patient, hang in there, keep chipping away and apply best SEO practices! 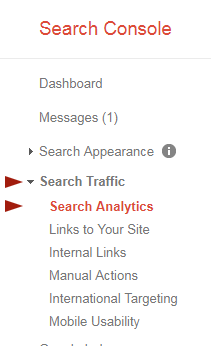 Go to Google Search Console, click on Search Traffic and then Search Analytics. On the screenshot, you can see that I clicked ‘Click’; ‘Impressions’; ‘CTR’ and ‘Position.’ I also clicked pages and underneath you can see the results. The CTR is a bit on the lower side, so it’s time to investigate a bit more. When you scroll down on the same page, you’ll see the results for each page/post, and therefore you’ll get a clearer picture. To dig even deeper I click on the first row (10 clicks, 203 impressions, position 10.3) and it takes me to the keywords this particular post is ranking for. The result shows that my post ranks for 11 keywords. Now I can proceed with all my pages and check the rankings of the posts and the particular keywords. Extra tip: you can improve the ranking of your post by going back to the post that ranks well by adding more content and related keywords. Avoid keyword stuffing though. Here is a free tool that has some cool features. One of them is the free keyword position checker. As you can see on the screenshot, it is straightforward to use. Type in your URL, select the search engine and enter up to ten keywords. There are a plethora of paid tools available who do a fantastic job in giving your accurate results for keyword rankings. Semrush, Ahrefs, and Moz seem to be the most popular ones, but they can be quite costly on a paid plan. But it is still great to try them out. Since they offer an enormous amount of features, one has to be careful not to spend too much time evaluating data and the competition. I know how quickly time goes and hey, there is always another post that needs to be published. I do pay for a keyword research tool, and my two recommended ones also include a keyword position checker. The good news is that both are reasonably priced. KeySearch starts from $17/month (also has a free trial) and Jaxxy starts from $19/ months. With Jaxxy you can get the first 30 searches for free. I do love the site rank feature in Jaxxy because it automatically scans not only Google for keyword rankings but also Bing and Yahoo. On the screenshot, you can see a result for one of my posts I only published a week ago. 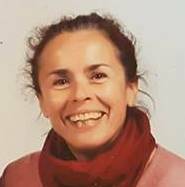 FunTravelingWithKids was my first website I have published in February 2016, and I am slowly building it out to an authority site in the family travel niche which is highly competitive. Anyhow, another helpful feature is the Keyword Tracking which you can set to daily, twice a week, weekly, twice a month or monthly. 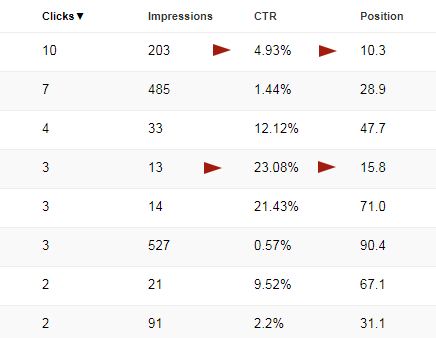 Also, you can use a feature called ‘Tracked Rankings’ where you can see how the keywords have been doing over time. If you would like to try out Jaxxy for free, please click on the link below and find out if Jaxxy would be an option for you. The first 30 searches are free. I hope my post has given you some great options for free and paid tools to help you to track the ranking of your keywords. My recommendation is to use Google Search Console in conjunction with a keyword research tool like Jaxxy. Google Search Console is great to find out what other related keywords your post is ranking for. That gives you the chance to improve your post further and hopefully achieve higher rankings. Jaxxy is so helpful in finding long tail keywords but also to keep track of keyword rankings the easy way. Please let me know what your favorite tools are and share it with my readers. Please note: this post contains affiliate links. For more information click here.